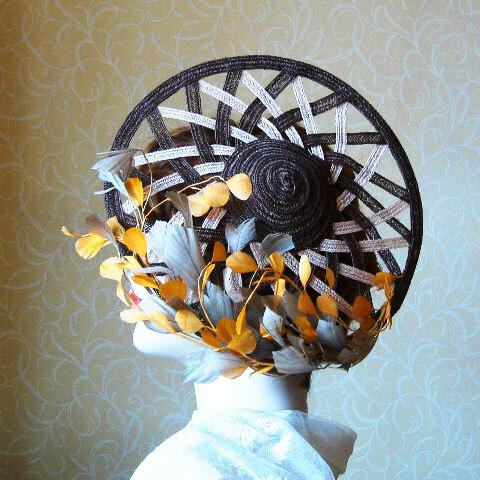 An autumn straw hat made entirely from 2 colours of narrow straw braid. 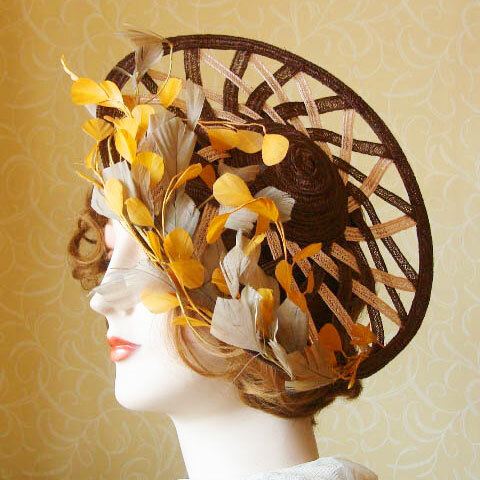 The edge is wired, creating a saucer hat and it is embellished with a feather branch,…very autumnal! 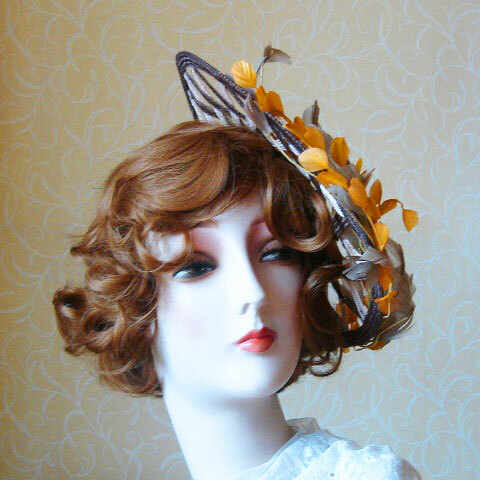 It is fitted with an elastic. As always, one of a kind.